Montreal’s Thee Silver Mt. Zion Memorial Orchestra and Tra-La-La Band (a Godspeed You Black Emperor! offshoot involving guitarist Efrim Menuck, violinist Sophie Trudeau and bassist Thierry Amar) is releasing a new record in March and going on a pretty big tour in support of it. 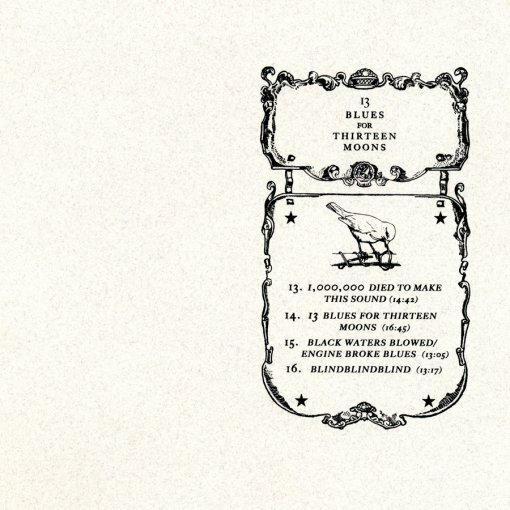 The new album is called 13 Blues For Thirteen Moons and it will be out on Constellation Records on March 10, 2008. (The album is wholly comprised of songs previously debuted at live performances). A Silver Mt. Zion will be making their way to New York (for the third time only) in May for a show at the Bowery Ballroom on May 19 and The Music Hall of Williamsburg of May 20. All ASMTZ tour dates after the jump.